I Can Get Tires Faster and Cheaper Than the Dealer? This is the second time this has happened. The first was on my 97 Yukon. I got a couple of 285/70/16 Hankooks from a buddy. I needed two more new ones and needed them mounted. The local Hankook dealer told me it would be 6 weeks before he could get one because they were backordered. I found them on Amazon (for 10 bucks per tire cheaper) and had them shipped to my door in 3 days. Took them to a shop and had them mounted. Today, I was calling around looking for tires for my Honda VTX 1800. I was told the back tire was backordered until May 5th. 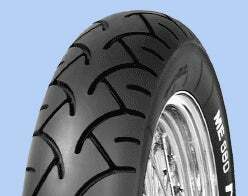 I again went online to Dennis Kirk and ordered exactly the tire I wanted. Because I live in the Twin Cities (Dennis Kirk is located an hour north) a brand new Metzler will be on my front step when I get home from work tomorrow, along with a new matching front tire. What’s the deal? How do the online retailers have a better selection of tires than a dealer for that specific brand? I understand they get them for a better price than the average consumer, but why wouldn’t an independent shop order a tire from one of these retailers and either work it out with the tire manufacturer or upcharge me for it?